If you didn’t think the cast of the DuckTales reboot could get *any better* than it already is, you better book you trip to Duckburgh ASAP. The Disney XD series just announced its entire cast and — GASP — Allison Janney and Margo Martindale are in the reboot. This is kind of a big deal, as Janney will voice Goldie O’Gilt, an adventurer and Scrooge McDuck’s secret love, and Martindale will voice Ma Beagle, the matriarch of the organized crime family Beagle Boys (all voiced by Eric Bauza). 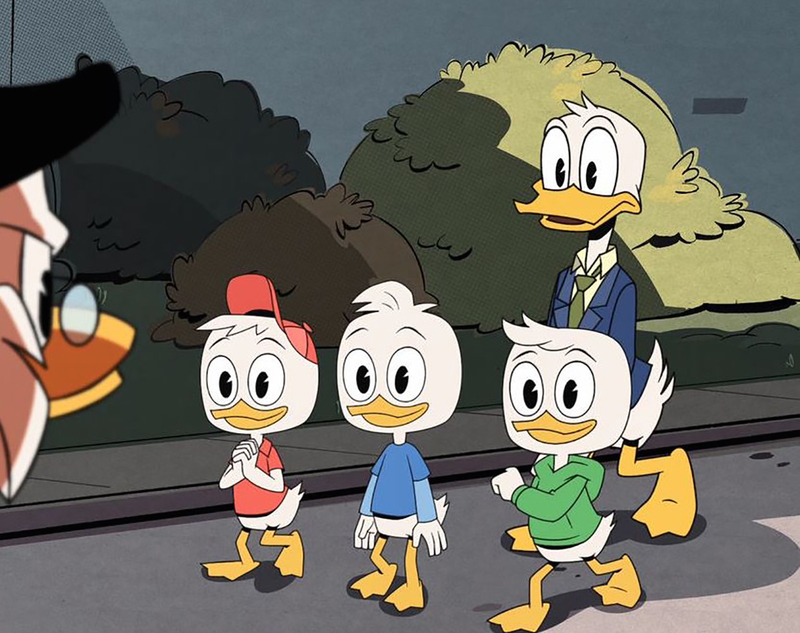 The upcoming remake of the ’80s cartoon follows the nephews of Donald Duck (Tony Anselmo, the official voice of the beloved duck) as the go in wild adventures with their recluse great-uncle Scrooge McDuck. The DuckTales seriously has one of the most star-studded casts. Janney and Martindale join everyone’s favorite Doctor, David Tennant, who voices Scrooge McDuck, and Danny Pudi, Ben Schwartz, and Bobby Moynihan as Huey, Dewey, and Louie, Scrooge McDuck’s grand nephews. The cast also includes Kate Micucci, Beck Bennett, and Toks Olagundoy voicing Webby Vanderquack, Launchpad McQuack, and Mrs. Beakley, respectively. A few months ago, Disney XD released a video of the cast singing the DuckTales theme song and *everyone* went wild. Then, it was confirmed that Lin-Manuel Miranda would voice Gizmoduck — Duckburg’s very own superhero — and his alter ego Fenton Crackshell-Cabrera. Paul F. Tompkins, Jim Rash, Keith Ferguson, and Josh Brener round out the incredible cast, and could there BE any more amazing people in it? By the time DuckTales premieres in August, we’ll be too overwhelmed by the sheer talent in the show to actually pay attention to anything! DuckTales will premiere on Disney XD in August!